We are a financial services firm whose office is based out of Roscoe, IL. 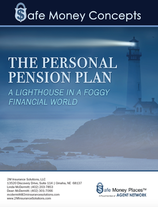 We truly believe in educating our clients about the importance of proper retirement income planning, financial protection, and tax preparedness. It's never too late to improve your financial situation or your financial goals. Our mission is to provide you with true knowledge so you can make better decisions regarding your finances. You've worked hard for your money, now it's time to enjoy life, and let your money work for you!